Once again the Friday sketchers lucked out on weather, which was supposed to be wet and windy this morning but turned out sunny. Driving to the upper Queen Anne neighborhood, I thought about all the many choices of fun things to sketch, including at least a couple of old churches. 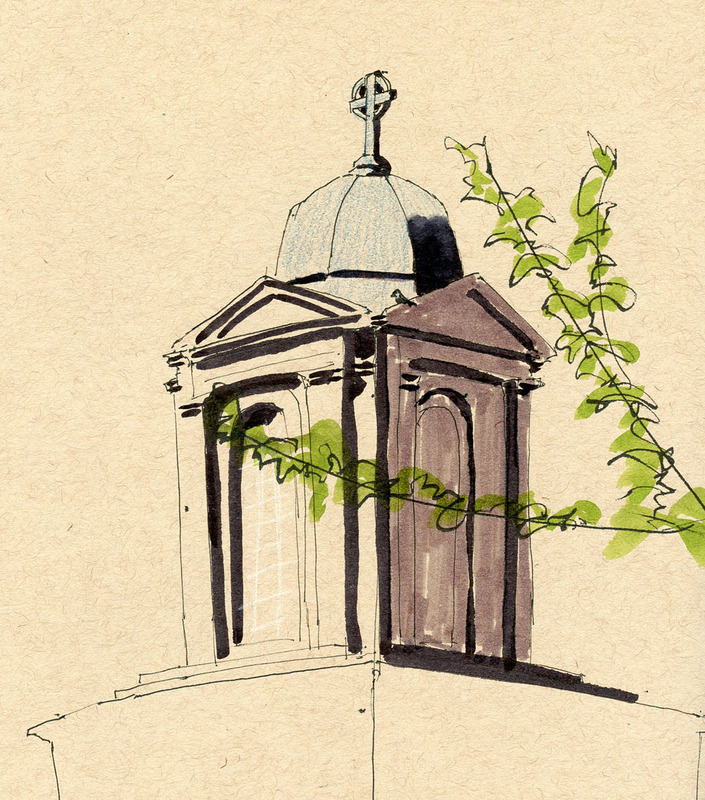 I chose the one with the nice cupola, the Queen Anne Baptist Church. The bright sunlight helped bring out all of its crisp shadows. The last sketch, also in ballpoint, is one I had been wanting to get for a while – the bronze sculpture of a puppy and his ball in the plaza next to Trader Joe’s. (Named Boomer, the sculpture was made by Georgia Gerber, the same artist who made the Pike Place Market’s Rachel the Pig.) 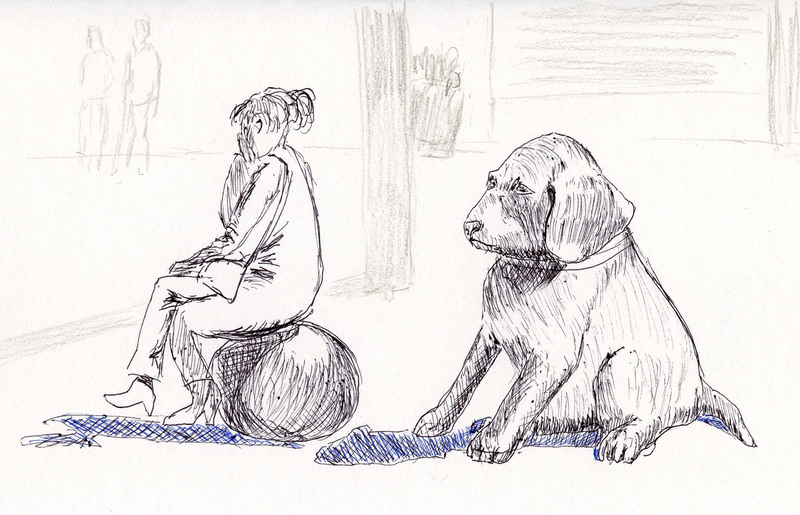 I started with the puppy, thinking that the woman chatting on her phone would soon get off the ball and leave. When I realized she had plenty to say, I put her in. 6/10/16 Suzanne sketching the Baptist church. My ballpoint hatching skills leave much to be desired, but I’m not giving up on it. The smooth, oily ink (the Biros’ original design was based on printmakers’ ink, I just learned) is a very strange yet interesting medium. 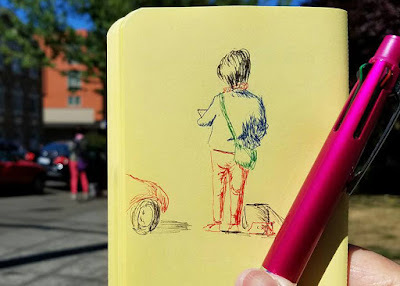 I could have done the sketch below in half the time if I’d used my usual fountain pen washed with a quick swipe of the waterbrush, but after all, today isn’t National Fountain Pen and Waterbrush Day (which I’m sure is coming; I know Fountain Pen Day is in November).